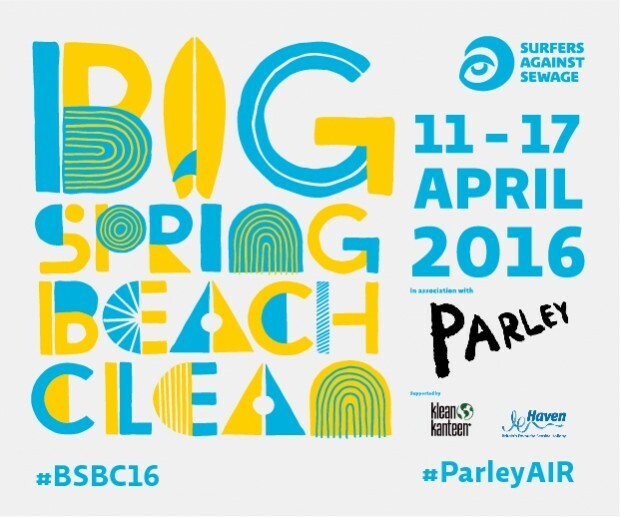 Big Spring Beach Clean – Join us! We are once again calling for beach clean volunteers to join our biggest ever Big Spring Beach Clean as we continue our fight to stem the ever-rising tide of marine litter on UK beaches. The Big Spring Beach Clean will take place at over 200 beaches from Lands End to the Isle of Skye during the week of the 11th – 17th of April and will mobilise 7,500 community beach clean volunteers to remove tonnes of marine litter from our coastline. 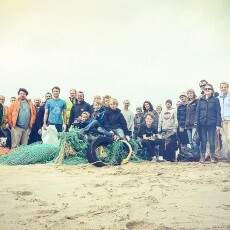 There are over 220 beach cleans taking place across the UK this year! With cleans ranging from Sennen in Cornwall to the Isle of Skye there is sure to be a clean near you! Find your local event at on our Events Page here or contact us directly at [email protected]. There’s no need to register, just dress appropriately, head down to the beach and say hello to the Lead Volunteer! Join SAS today to support our community conservation programmes protecting beaches for everyone! You’ll be helping protect our oceans, waves, beaches and wildlife from plastic, pollution and poison. 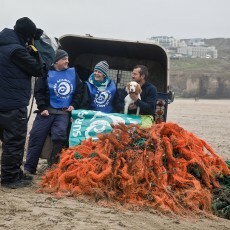 The Big Spring Beach Clean continues to grow each year and is now the single biggest week of beach clean-up activity in the UK. This growth reflects a groundswell of public outrage at the marine litter crisis (80% of which is plastic) and a desire to take hands-on action to protect our precious beaches. It makes a tangible difference to the health of our marine environment and beautiful beaches nationwide, particularly through the removal of huge quantities of plastic pollution that now blights oceans worldwide. Big Spring Beach Clean volunteers take great satisfaction in the fact that every piece of litter removed no longer poses a threat to marine wildlife and their local beaches. Whilst it has been shown that removing plastic waste along our coastline is the most effective clean-up method a recent survey found that the amount of plastic bottle litter on UK beaches rose by 43% between 2014 and 2015. This demonstrates the desperate need discover methods by which we can drastically reduce the amount of litter entering our seas and to begin seeing plastic litter as a vital resource that society can’t afford to waste. Surfers Against Sewage’s recent Marine Litter Report calls for a nationwide bottle and container deposit scheme to help stop the flow of plastics to the sea and conserve plastic resources. We are stoked to be collaborating with Parley for the Oceans on a global level to implement the Parley A.I.R. Strategy, an approach that aims to redefine industry standards and end the cycle of pollution based on three pillars of action: Avoid. Intercept. Redesign. To achieve this we have activated our incredible team of Regional Reps, based at 75 locations around the UK to collect and recycle plastics collected at the Big Spring Beach Clean. These highly trained regional volunteer leaders will act as vital hubs for the wider community, collecting bags of plastic from local volunteers before returning it to SAS HQ where a massive, branded 20ft shipping container will be waiting. Once filled with tonnes of recyclable plastic, waste materials collected from UK beaches will be distributed to the Parley Collaborator Network for use in awareness-building recycling initiatives and product innovation. This innovative new approach is set to revolutionise the way marine plastics are viewed and dealt with and the Big Spring Beach Clean community is perfectly placed to lead this marine litter revolution. Marine litter can often appear overwhelming with a common question being, “what can one person do?” However, if each person who loves and uses our beaches were to take part in a beach clean what a difference we could make! Find your nearest Big Spring Beach Clean here. For more details email [email protected] or call 01872 553001. We can’t wait to see you out there next week! Surfers Against Sewage is delighted to be collaborating with Parley For the Oceans, and engaging communities with projects to stop the flow of plastic into our seas. The single-use plastic vandalism of our coastlines has to stop and plastics valued as a resource we can’t afford to let accumulate in the marine environment. Current plastic is a design failure. It needs to go. But this can’t happen overnight. We need to avoid plastic wherever we can, stop producing more of it, and retrieve and revive what has already ended up in nature. But to solve the problem for good, we have to invent a new material. Collaboration is the magic formula, because nobody can solve this complex problem alone. With Surfers Against Sewage, we found the impactful partner we need. Together we can turn this around.